Proxima Midnight is an ultra powerful enforcer within Thanos's elite Black Order. The Black Order consists of a small group of powerful enhanced individuals used by Thanos to take out threats. Many times the Black Order paves the way for an invasion force. Proxima is the wife of Corvus Glaive another member of the Black Order. Proxima Midnight will be a villain in the film Avengers Infinity War. 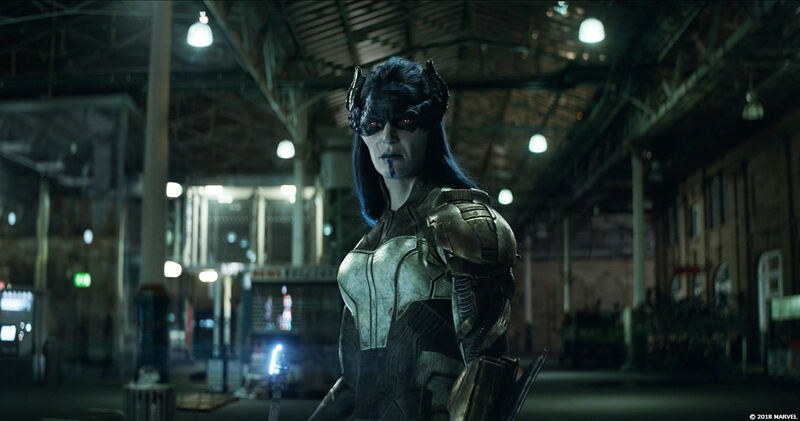 Proxima Midnight's early life is mostly unknown. 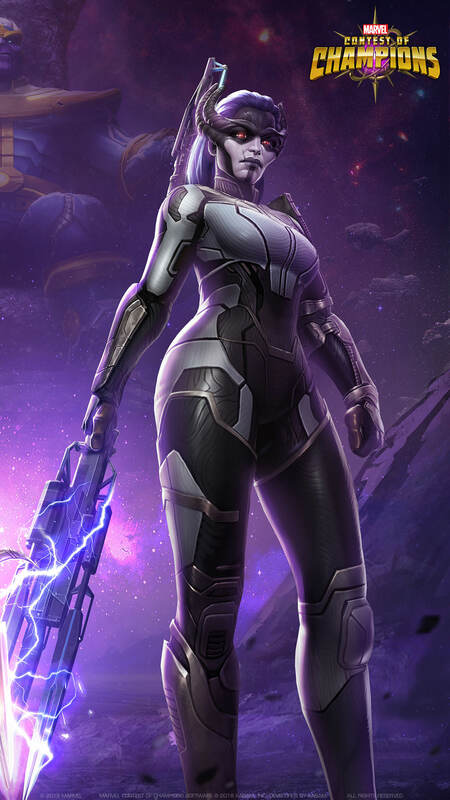 She is considered to be one of the best fighters in the armies of Thanos and is selected to join his elite Black Order. At some point Proxima Midnight marries fellow Black Order member Corvus Glaive. The two dark hearted individuals are a good pair with a great deal of respect for each other but none for anyone else. Thanos sends the Black Order to Earth to prepare for his invasion and to collect the Infinity Gems. Proxima is sent specifically to retrieve the Infinity Gem that is thought to be held by Namor. On the way to Namor, Proxima decides to add to her mission and get some extra credit from her master by also destroying New York City. The main Avengers team was off battling an alien race called the Builders in space and so the city seemed undefended. However, Proxima ran into a very angry Luke Cage and his new team of Avengers going by the name of Mighty Avengers. Proxima managed to stab Spectrum with a blast of anti photon energy that crippled her light form. She then began to grapple and pound on Luke Cage. During the bout where Proxima seemed to have been victorious a large crowd of New Yorkers surrounded the super powered villain and began chanting "Avengers Assemble". Irritated at the crowd's insolence Proxima went to strike but was stopped by an energized Luke Cage who went on to fight her off. Thanos was very annoyed at Proxima's failure in NYC and urged to get to Alantis and finish the task he had sent her on. 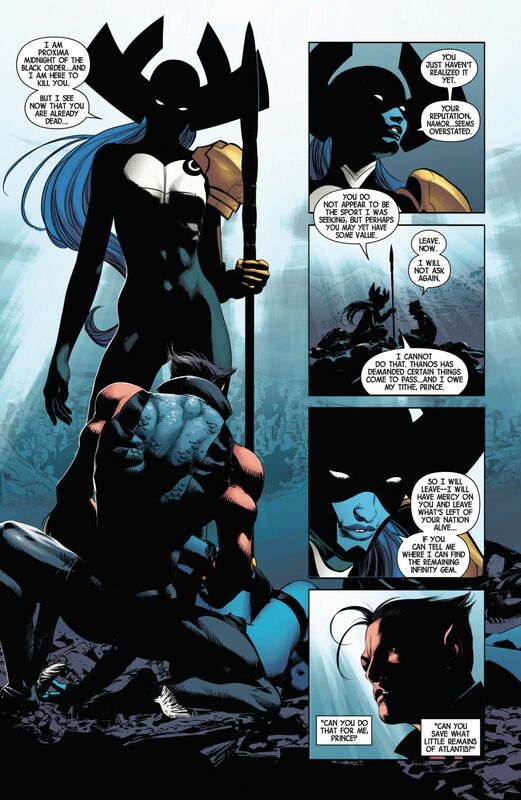 In Atlantis she found a broken Namor who had recently been beaten in a war with Wakanda. She found he had no gem. Namor revealed the location of the gem to be in Wakanda and he pledged himself to Thanos to save what was left of Alantis. Black Dwarf another member of the Black Order failed to retrieve the gem from Wakanda being beaten by the Wakandan forces. This forced Proxima Midnight, Corvus Glaive and Thanos himself to attack Wakanda. However while at Wakanda Ebony Maw located Thanos's son Thane in Greenland. The full Black Order set out to kill Thane. Thane however proved to be too powerful for his father and ensconsed Thanos, Proxima, and Corvus in amber in a state of living death. This in part was done due to a betrayal by Ebony Maw. Earth became faced with a series of Incursion events where one Dimension would run into another Dimension with the focal point being Earth. The only way to survive such an event was for one of the Earth's to be destroyed. After doing this to one Earth the Illuminati felt morally sickened and so decided to forego the destruction of any more Earths. Only Namor desired to continue to destroy the Earths. On each Earth, the heroes would have to face the super powered defenders of the other dimension and Namor realized he would not be able to do this alone. He went and freed Thanos, Corvus Glaive and Proxima Midnight and formed the Cabal. The Cabal went out and destroyed the other Earths so their Earth and universe would survive. The Cabal was allowed to stay on Earth and continue in their purpose of destroying other Earths. However, Namor became increasingly sickened at the gleeful attitudes of his fellow Cabal members in slaughtering worlds. He eventually left set up a trap where the Cabal was to be left on another Earth and a barrier would be erected. Namor completed his task but was himself betrayed by Black Panther and Black Bolt who pushed him back into the dieing world. The Cabal found another incurssion point and escaped into a third Earth Dimension that turned out to be the Ultimates Universe. In the Ultimates Universe the Cabal joined forces with the Ulimate Version of Mister Fantastic who created a Life Raft that allowed the group to survive the final incursion. The group then landed into god Doom's Battle World. In Battleworld, the group ran into a group of Thors who are tasked with keeping order by Doom. The beat the Thors but were then scattered by Doctor Strange. 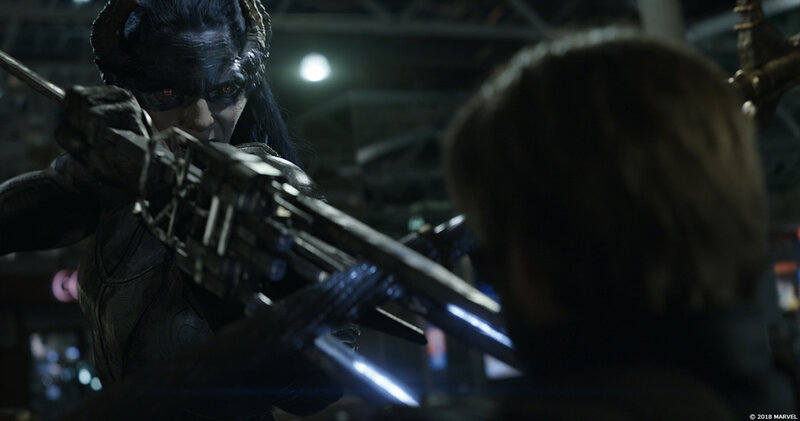 Proxima Midnight and Corvus Glaive ended up being captured by Apocalypse and given to Doom who began to study them to see how they survived the last incursion. After the events of Battle World Proxima Midnight returns to the main Marvel Universe. A mysterious stranger appears and tells Thanos about an extra Mjolnir that has appeared in their universe from the Ultimate Universe. The stranger, Black Swan and Proxima Midnight pursue the hammer but are ultimately defeated by Thor (Odinson) and Beta Ray Bill. Thanos is angry with the mysterious stranger for not bringing him an appropriate tribute. In a show of force the stranger kills Proxima Midnight and reveals herself to be Hela goddess of death. She is highly trained martial combantant. Proxima Midnight appear in the MCU in the film Avengers Infinity War. Proxima Midnight had a few descent scenes in the film. The obvious weight of the film focused on Thanos. 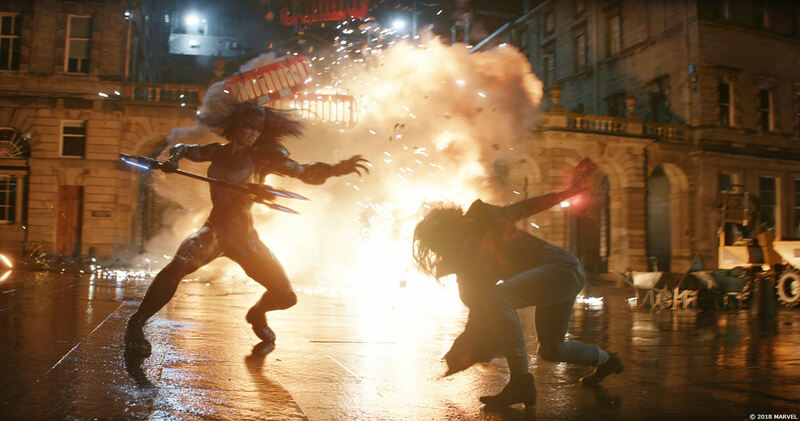 The scene was when she fought Scarlet Witch and also when she threw her Javilin and Captain America caught it. First appearance of Proxima Midnight was at SDCC 2017.